Photo Caption: Janette Rodriguez, CPC, AHI, RMA, Medical Assistant program, School of Health Studies, received the Commitment to Students Award during the 2017 Berkeley College Faculty Recognition Awards dinner, held on November 2, 2017, at Battery Gardens in Manhattan, NY. “I have a great passion for what I do, and behind me is a great team with that same passion,” she said. 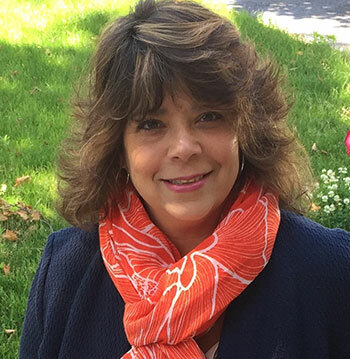 “Behind this award is a passion for teaching.” Ms. Rodriguez is a resident of Elmwood Park in Bergen County, NJ. 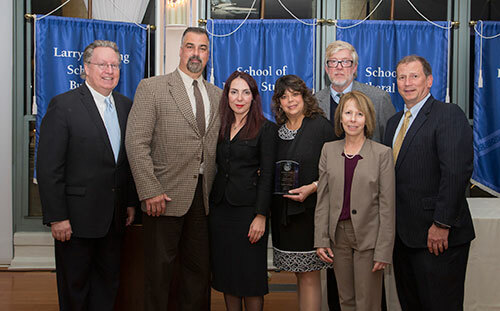 Below (L to R) are Michael J. Smith, President of Berkeley College; Angelo Zecca, DSc, Justice Studies, School of Professional Studies; Eva Skuka, MD, PhD, Dean, School of Health Studies; Ms. Rodriguez; Michael McAteer, DBA, Dean, School of Professional Studies; Beth Castiglia, PhD, Provost; and Kevin L. Luing, Board Chairman.